Some of Utah’s biggest attractions are the beautiful mountains that surrounds us. Along the Wasatch Front, you’ll find four canyons featuring delicious breakfast and brunch offerings alongside breathtaking views and spectacular outdoor activities. Fall is the perfect time to head up, escape the heat and pull up a seat at these five canyon dining destinations. Silver Fork is tucked away in Big Cottonwood Canyon just below Solitude – but don’t let the location fool you – it’s a gold (and silver) mine of gastronomic goodness. Celebrating the historic mining history that founded Silver Fork, the restaurant offers generous portions and quality ingredients in every dish. 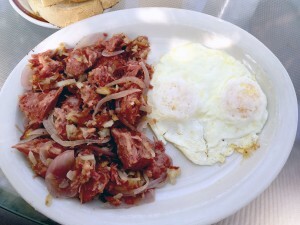 Serving breakfast every day of the year, feed the heartiest of appetites with the corned beef hash and eggs. Juicy, fork-tender chunks of house-made corned beef commingle with sauteed onions and a side of two eggs cooked any way you like. If decadence is what you’re after dig into the crab and avocado omelette – fluffy eggs overflowing with delicate blue crab claw meat and topped with fresh avocado and perhaps Utah’s best hollandaise sauce. Wash it all down with a selection of juices, house-made hot chocolate or Silver Fork’s special blend of coffee while taking in canyon views from either of Silver Fork’s two levels of patio dining. Breakfast is served from 8 a.m. to 11:30 a.m. Monday through Friday, 8 a.m. to noon on Saturday and from 8 a.m. to 1:00 p.m. on Sundays. 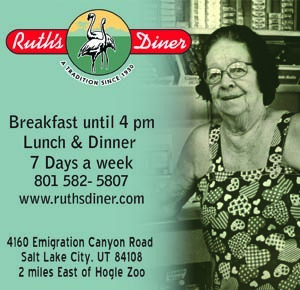 In its 86th year of serving Utahns their favorite diner foods, Ruth’s dishes up breakfast from 8 a.m. to 4 p.m. every day so you can indulge in Mile High biscuits and country gravy whenever the mood strikes. 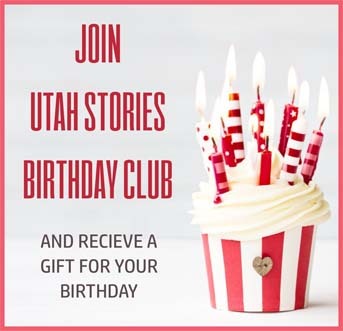 Sit on the patio to enjoy the sights and sounds of Emigration Canyon, or nurture nostalgia in the old Salt Lake Trolley car for some additional nostalgia. A favorite in Little Cottonwood Canyon, Alta Lodge’s Sunday brunch is available from 9:30 a.m. to 2 p.m. through October 11. Menu selections change weekly although panzanella salad and chicken tikka masala are two of the ethnically diverse offerings to enjoy along with more traditional fare. Live acoustic jazz with Keven Johansen and Tully Cathey adds to the ambiance of this rustic mountain lodge. 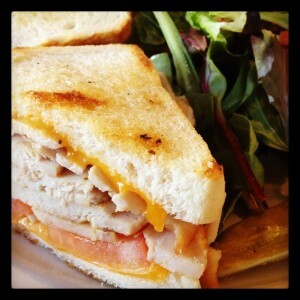 Brunch is $24.95 for adults, $13.95 for kids 7 to 12 and $6.95 for children 6 and under. Open year round, The Forklift offers s à la carte brunch options including everything from the Snowbird omelette and the Forklift Caesar salad to fish tacos and made-from scratch blueberry whole wheat pancakes. Great for the whole family, The Forklift is located on the Plaza Deck at Snowbird which means you can easily take a post-brunch tram ride to take in the fall colors of Little Cottonwood Canyon. 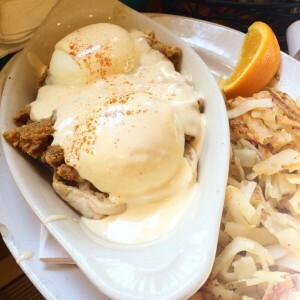 A great option for brunch to the north is Needles Lodge at Snowbasin where the Sunday brunch menu changes weekly, but you’re likely to finds items like steak tartare, Scotch eggs or raclette. Brunch is $33 per person for pass holders and $38 for non-pass holders. The prices includes the lift ride to Needles, tax and gratuity. Sunday, 10 a.m. to 2:30 p.m.